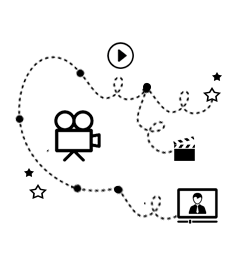 We build video assets that are integrated with curated tools giving a leg-up to corporate and social communications. 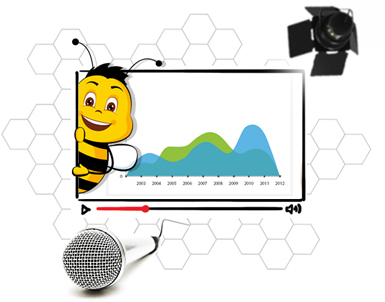 Interactive Bees is a powerhouse when it comes to video production facilities. Our presentations communicate the essence of your communication with the video that is customized around it. Your image has lot to do with how you project it to the world. It is becoming necessary for corporate houses to create communication across media assets to introduce their brand and its lineage. This not only builds a lasting impression but can become the USP for a brand to gain mindshare. You never know where and how your brand is interacting with the consumer. Videos have an immense personal touch and communicate with tangible feeling. They bring to life happenings around the brand with a distinctive and physical feel. Crafting this perfect imagery and communication is a work of art that requires deft handling and should bring out life around a brand. Interactive Bees, the corporate video production company is a powerhouse when it comes to video production facilities. We mesh together everything from professional cameras and artist, to creating the perfect photo shoot setup, and work on other variables to bring about crystal clear and crisp communication. Audio visuals are created with perfect voiceovers that surround the communication. Variable picture quality of a professional shoot for product portfolio adds class to your merchandise. Video brings to life the characteristics around a communication and make them feel real. Bringing creative expression to any message and holding the attention of the consumer. A great viral video generates huge publicity for a brand with its peppy communication. 3D video are making a splash in the corporate world and bring high definition clarity to a communication. Whiteboard uses the creative method of explaining a concept with moving animated illustrations. With the use of videos and animations that work beyond dull and lifeless images.